The original "Saw" is one of our favorite films of all time. "Saw" not only struck a note within our psyche with its main antagonist Jigsaw but guessing who among the characters was him/her was the best part. The shocking climax was iconic in every sense of the word. Too bad that they decided to milk the franchise dry annually. Every yearly iteration of "Saw" seemed to become worse than the one before it. Now, in its seventh and final release, the franchise promises to end with a bang by bringing the series into the next level. 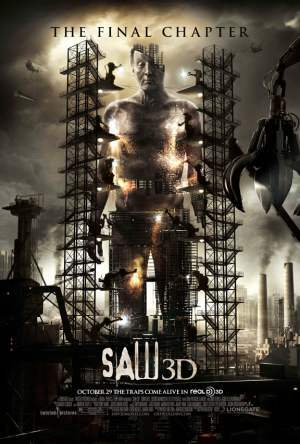 "Saw 3D" will be shot in complete 3D. Catch the trailer after the jump. It seems more a greedy move by doing the film in 3D but it also intrigues us how the inafamous Jigsaw challenges would translate into the 3D format. Gore galore for sure right? Hopefully the story will be worthy enough to close the Jigsaw saga well. We can all find out starting October 29, 2010.